Even when only thinking about this recipe my mouth starts watering! So delicious, easy to prepare and perfectly fit for the season. 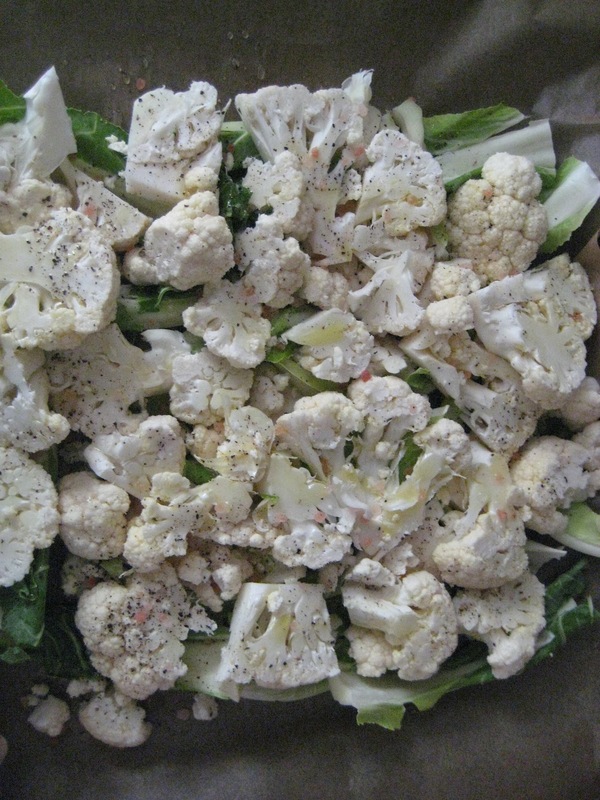 So far I've tried a few cauliflower recipes and this one turned out to be the best. You need no more than an hour from start to finish. With no further delay, here comes the recipe! Step 1: Cut the cauliflower leaves put in a single layer in an oven proof baking dish (bottom covered with baking paper). Step 2: Cut the cauliflower into florets and put as second layer. Step 3: Add salt & pepper to taste, pour the olive oil over and put in the oven for 40 min at 160C. 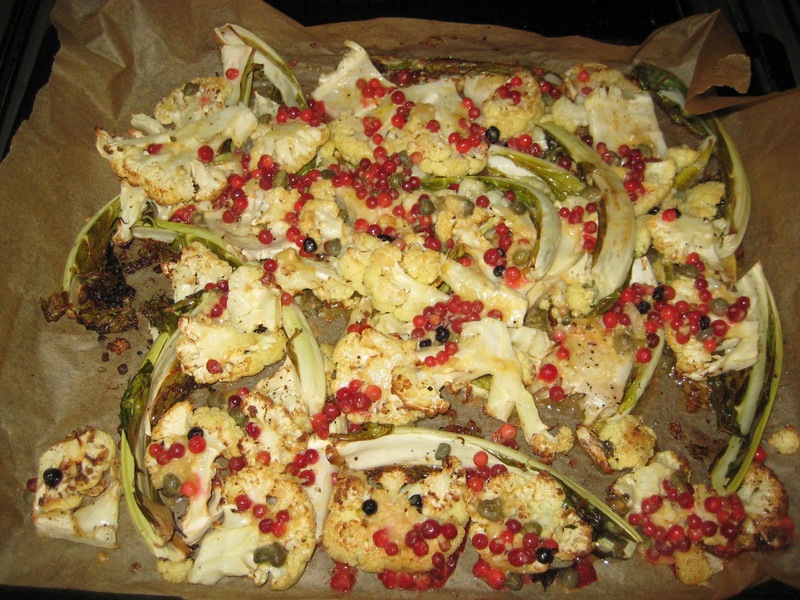 Step 4: While the cauliflower in the oven, start preparing the sauce. Step 5: Cut the garlic very finely or smash it. 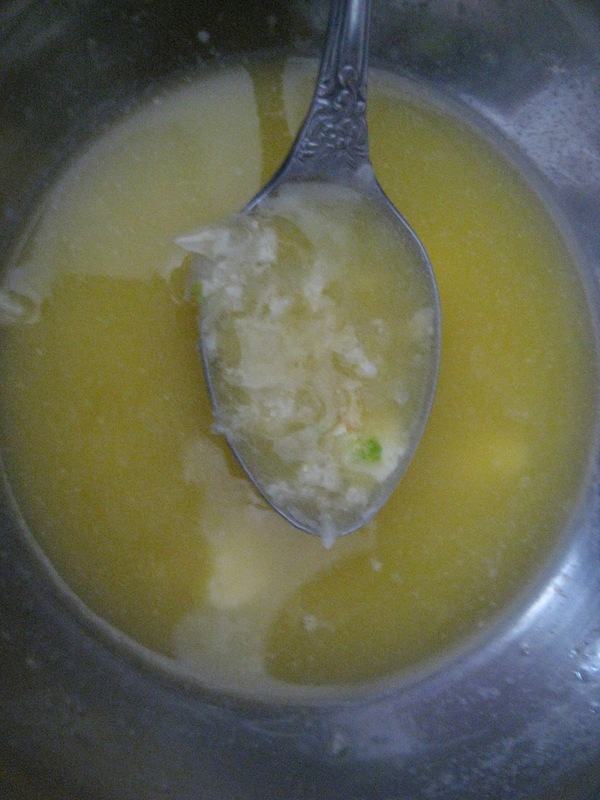 Step 6: Melt the butter and mix with the garlic. Step 7: Add the capers & cranberries and mix. Step 8: When cauliflower is soft, take it out of the oven and spread the mixture over it. Step 9: Put back in the oven for another 10 to 15 min, then take out and serve immediately.